Almost 40% of cars in the UK are running on at least one tyre that is “dangerously” or “very dangerously” underinflated, new research suggest. Running a car with tyres underinflated by 7psi cuts fuel efficiency by about 1mpg. An inspection by Michelin and Kwik Fit of more than 500 vehicles in Tesco car parks around the UK found 27.6% of cars had at least one dangerous tyre – between 7psi and 14psi below the manufacturer’s recommendation. Meanhile 12.0% had at least one classed as “very dangerous” – underinflated by 14psi or more. 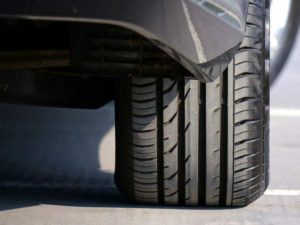 Running a car with tyres underinflated by 7psi decreases fuel efficiency by about 1mpg.